Name of the posts: Heavy Bus driver. Last date of application: 30th November 2015. Your age should in between 25-35 years. 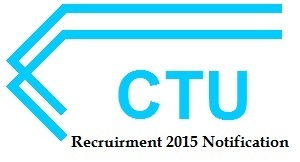 The candidates who are interested in CTU can go through the official website of CTU www.chdctu.gov.in and they can apply. For official notification visit the following link.